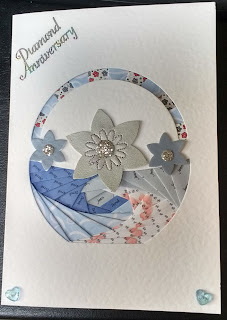 Card from Dee Crafts, papers printed using Craftville backing paper builder. 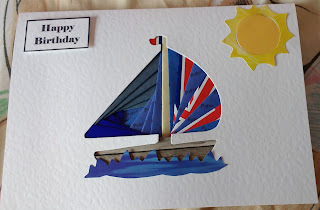 Union jack paper is paper strips from Yellow Moon, water made using Sizzix grass die and sun using Sizzix sun sizzlet. 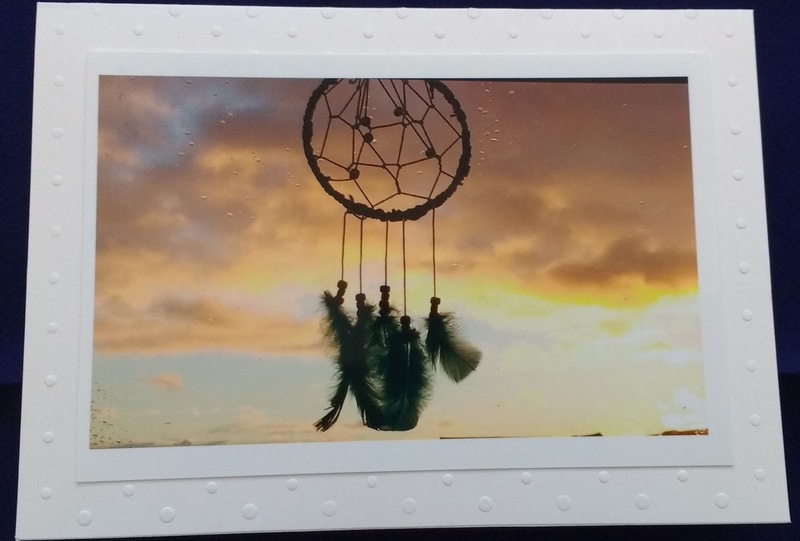 Greeting created with powerpoint. 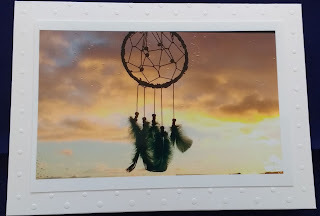 Made using my own photo of sun rise through Emily’s bedroom window with dreamcatcher in front. Dotty card blank from Dee craft. 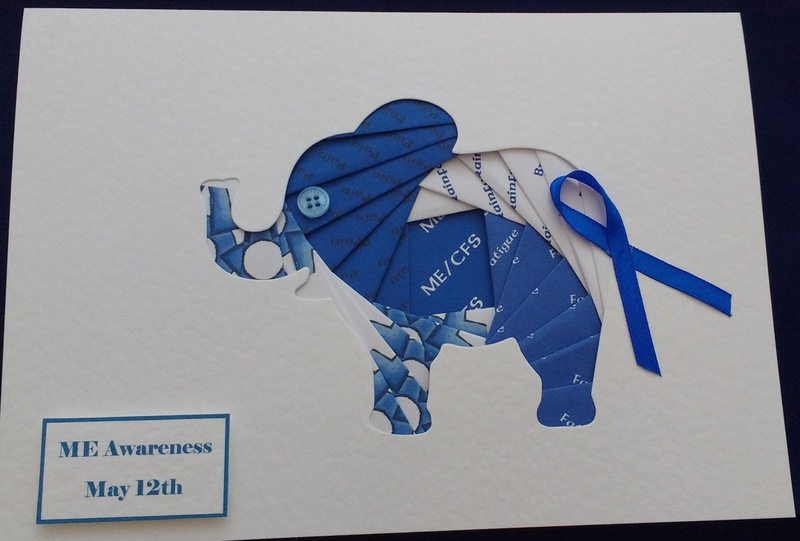 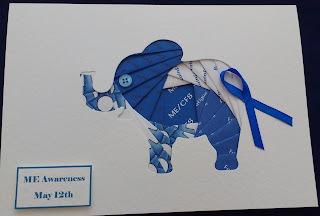 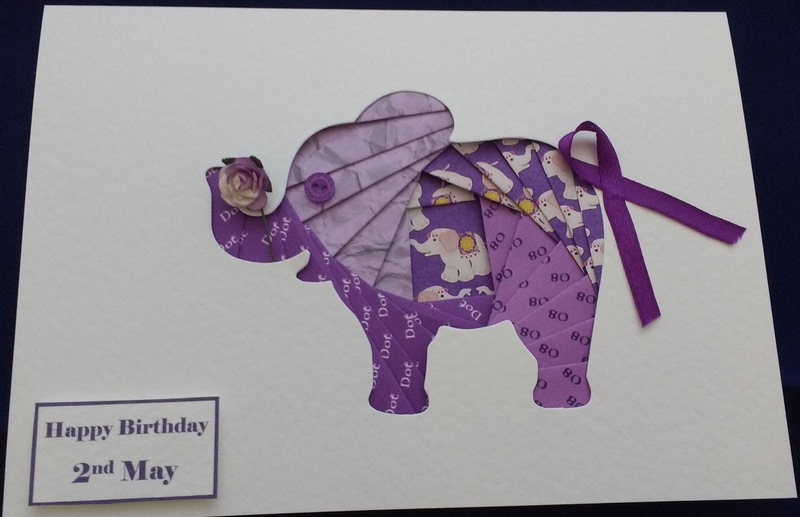 After seeing my ME elephant I was asked to do a personalised Elephant card for an 80th birthday. 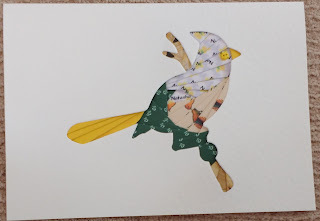 Again I used baking paper created with Craftville backing paper maker and also one from Paperprintables. Paperprintables has some great papers and costs £1 per month to use. 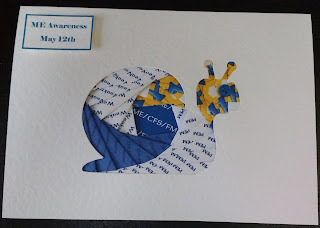 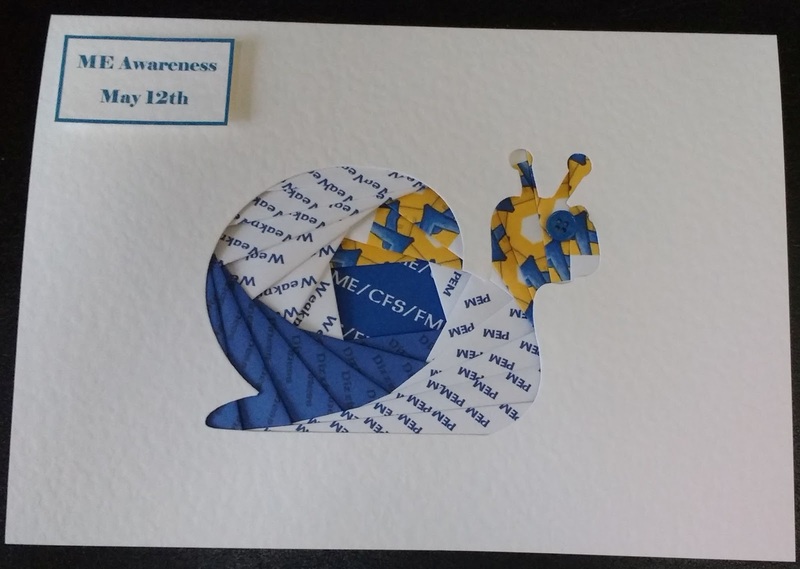 Another ME awareness make. Spoons bought on Ebay, hearts, beads and findings from Beads Direct. 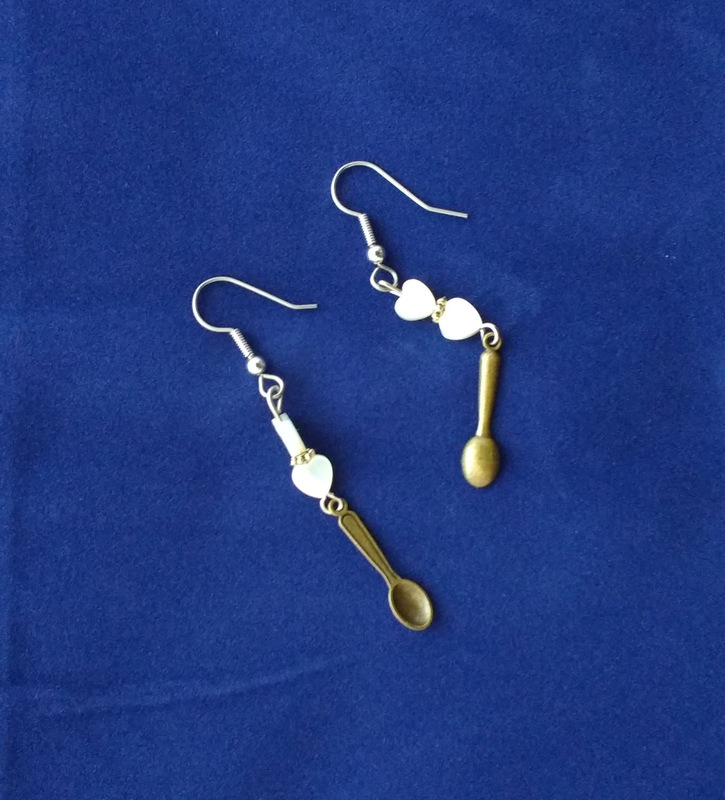 To find out how spoons relate to ME, check out Spoon Theory. 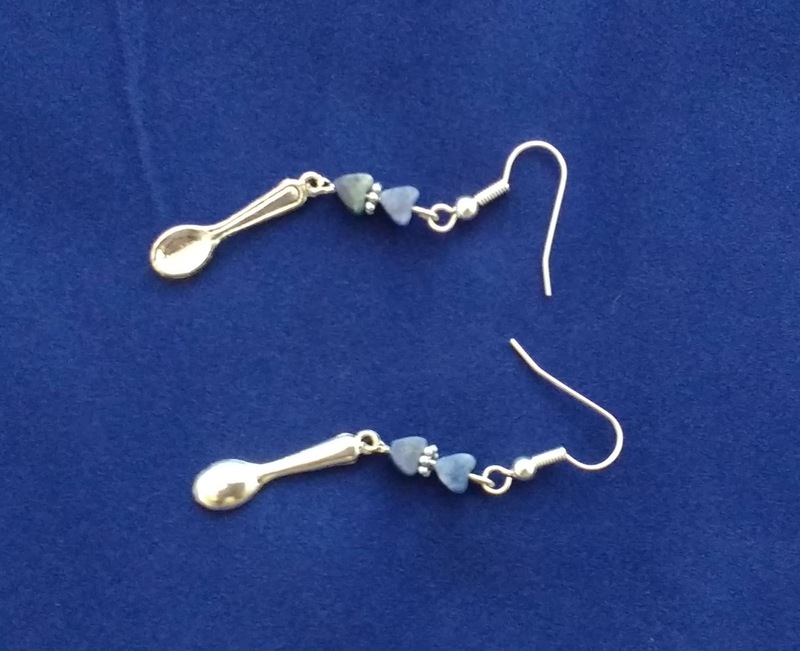 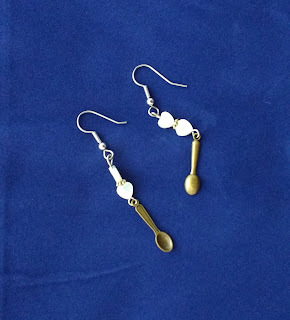 P.S I am useless at using the spoon theory, maybe these earrings will remind me! 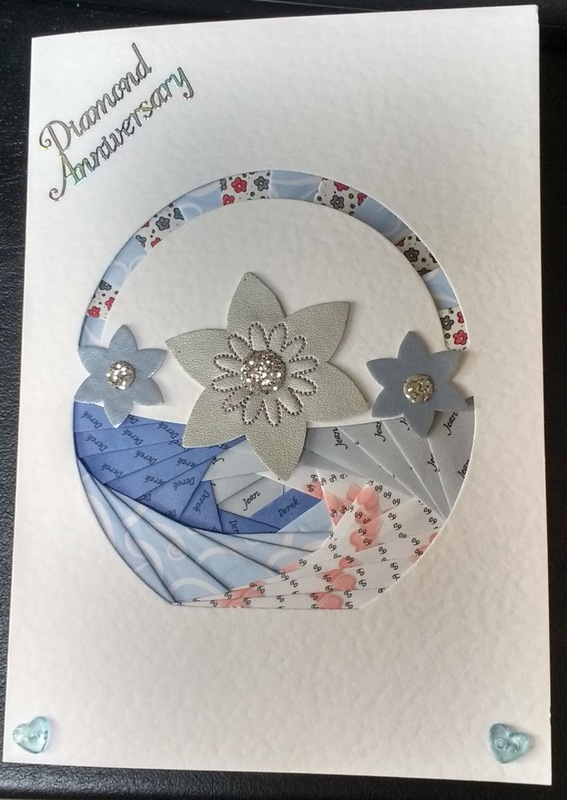 Another requested card for a 60th wedding anniversary. I was really not sure about this one and had several attempts to get it to look right, but the person who ordered it likes it, hope the recipients do to. 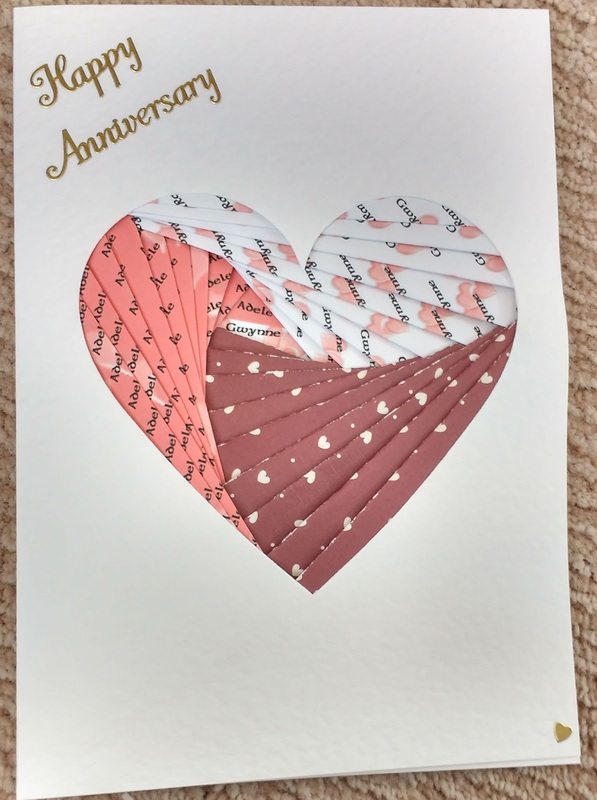 What an achievement 60 years of marriage. 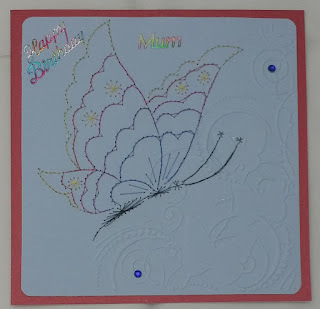 Personalised papers printed with backing paper maker at Craftville, card from Deecraft. Other patterns papers from my stock, source unknown. 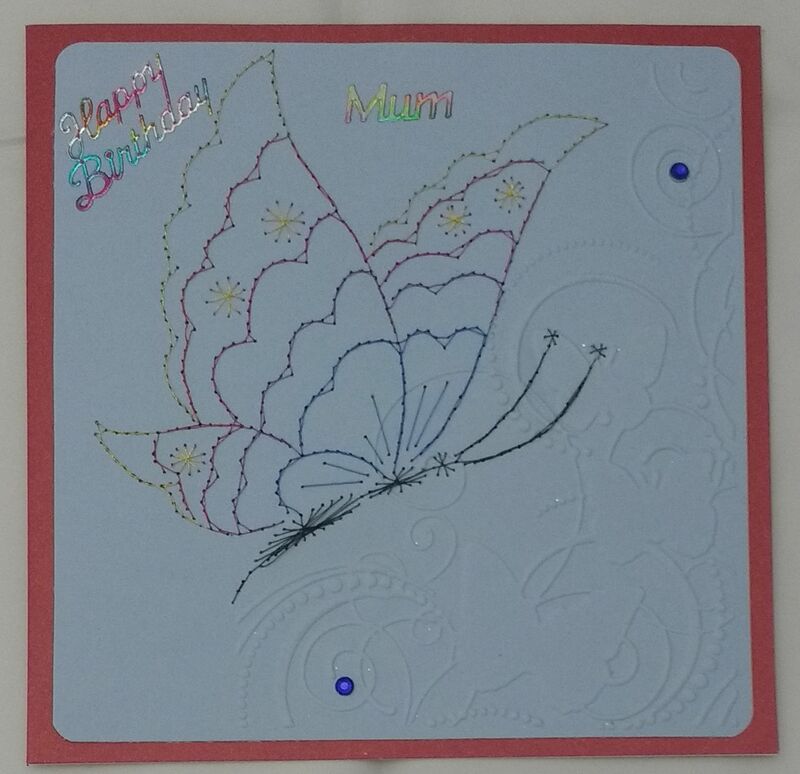 Personalised papers printed with backing paper maker at Craftville, card from Deecraft. 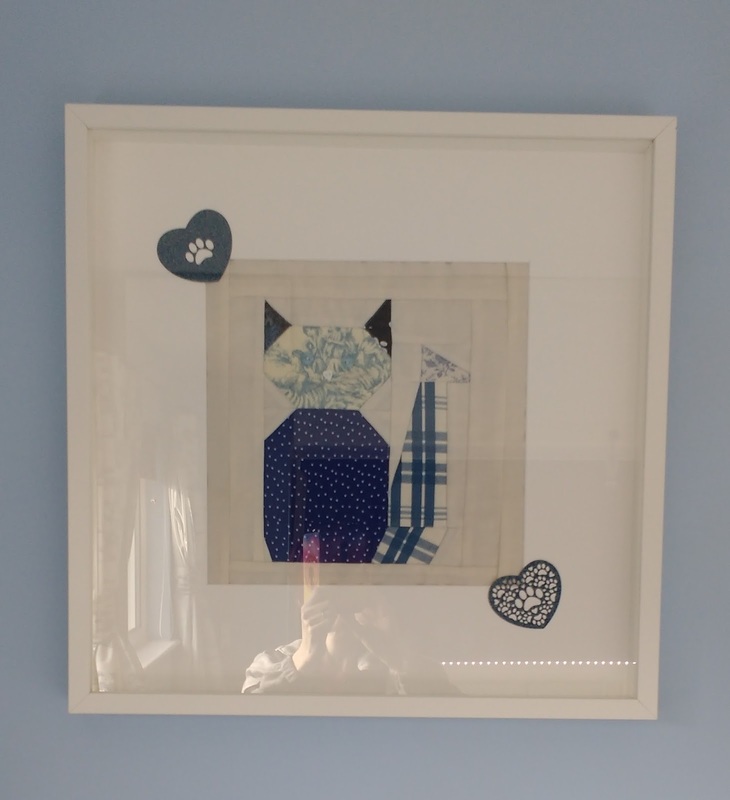 Other patterns papers from my stock, source unknown. Embossed with Darice paw print folder. 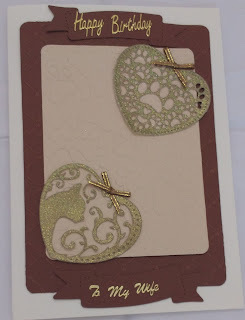 Heart shapes cut with Spellbinders Shapeabilities Pawing Around cut and emboss stencil. 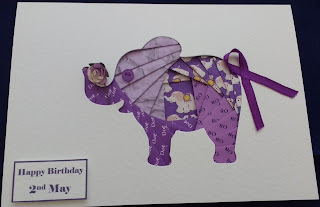 Card from Dee Crafts, papers printed using Craftville backing paper builder.